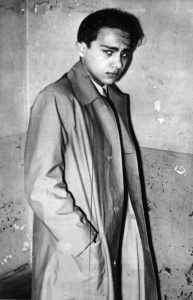 After the deportation of his parents Sendel and Rivka Grynszpan to Poland in October 1938, the seventeen-year-old Jew Herschel Grynszpan assassinated Ernst Eduard vom Rath at the German Embassy in Paris on November 7th, 1938. He shot the German diplomat three times in the abdomen and said he was acting in the name of 12.000 persecuted Jews. Within hours the NSDAP and its organisations organised and executed a massive pogrom against Jewish people all over the German Reich, known to history as “Reichskristallnacht (Night of broken glass)”. Over 90 Jews were assassinated, innumerable Jews were humbled and abused, arrested and sent to concentration camps. Synagogues were smashed up or burned, cemetaries defiled, homes and stores damaged. The “radical anti-Semitic party” base was responsible for these targeted actions, but the anticipated “public anger” was only rarely aroused. Before the return of Gauleiter Franz Hofer from Munich the members of the NSDAP already gathered in SA-Standartenheim in Bürgerstrasse 10 about 1 a.m. Under the command of SS-Oberführer Johann Feil the members were divided into groups and a “register of Jews” issued by Plenipotentiary for Aryanisation, engineer Hermann Duxneuner was dispensed. The groups wore civilian clothes and were instructed to murder Wilhelm Bauer, Richard Graubart and Richard Berger. Apart from Vienna, where at least six people were killed, Innsbruck was one of the bloodiest and most violent scenes of the pogrom in Austria considering its size and the size of the Jewish Community. During the night of November 9th to 10th, 1938 Richard Berger, Wilhelm Bauer and Richard Graubart were murdered, many others were seriously injured, among them Flora Bauer and her son Stefan, Rudolf and Julie Brüll , Berta Dannhauser, Ephraim and Mindel Diamand, Eduard Fuchs, Alfred Graubart, Arthur Goldenberg, Julius Meisel, Friedrich and Dora Pasch, Julius and Laura Popper, Louis Rado, Helene Rosenstein and her son Fritz, Richard Schwarz, Wolf Meier Turteltaub et al . 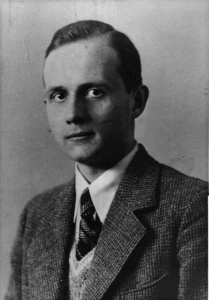 Josef Adler died two months after the attack as a result of the injuries inflicted on him. 18 Jews were arrested, their apartments and stores destroyed, as was the interior of the Synagogue. Not until after the war were some of the perpetrators of the Novemberpogrom 1938 in Innsbruck arrested and condemned by the people´s court at the national court of Innsbruck – >>> Post-War Justice.